Home Cabin Operations 1-2-3-4 Connect! 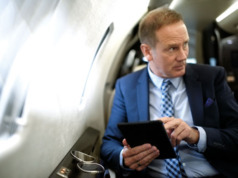 In today’s fast-paced environment, having the right connectivity tools on your aircraft is increasingly important. Follow these four steps to make the right choice for your travel communications needs. Aircraft Trip Information Display: New technology, displayed on Personal Electronic Devices (PEDs), has supplanted the cabin map and data displays. Instead of a stand-alone system, newer systems can eliminate the need for extra equipment. 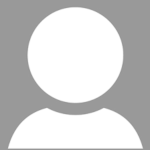 Phone: Stand-alone phone systems using a satellite or ground-based cell network provide excellent sound clarity. Today’s flight operations typically have a data system that provides a few channels of phone without requiring expensive additional equipment. Voice Over Internet Protocol (VOIP) enables you to use your own mobile phone. E-Mail, Social Media, Web Browsing: Large e-mail downloads, video streaming, TV channel streaming, and web browsing now are possible with higher end satellite and terrestrial (ground-based) cellular data systems, but require large fuselage-mounted antennas. This limits the connectivity available on smaller aircraft. Satellite systems required for overwater communications typically cost $700,000 and take two to three weeks to install. Usage costs can run as high as $20,000+ per month, based on the amount of data used – making movie streaming very expensive. Cellular systems typically cost $200,000 or less with two weeks of downtime, but work only within the U.S. and parts of Canada. 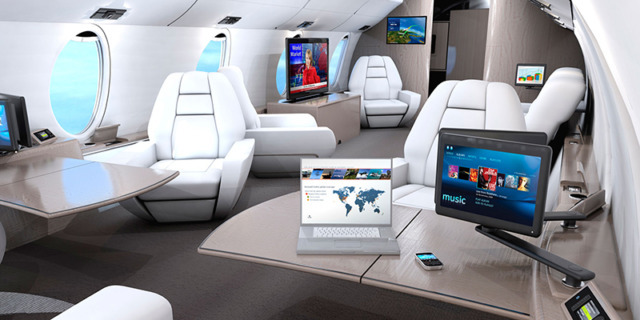 Streaming Video Entertainment and Onboard Gaming: Some cabin data systems contain media storage and automated content downloads when the aircraft is on the ground, so do not require use of the expensive satellite systems and can provide a wide range of features and content. Gaming typically doesn’t require an internet connection; ask for provisions to show the games on cabin monitors during cabin modifications. Data Security: Data transmitted through the aircraft wireless system are reasonably secure from your device (See “Internet Security in the Clouds, BAA July/August 2015). Using encryption or VPNs greatly reduces the possibility of hacking. On the ground, the risks are similar to any public building. Some aircraft connectivity service providers offer enhanced security with dedicated lines and firewalls. 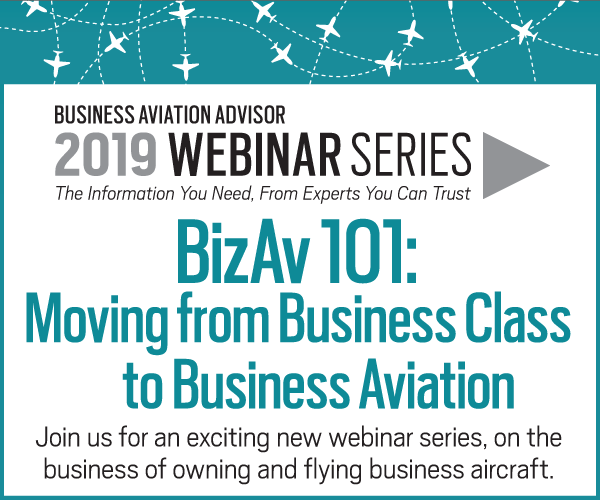 2 Determine what you need and want: If you are an aircraft owner or aircraft spending decision maker, you can decide what connectivity functions are important to you. Or you can opt to let your aircraft manager decide what to install. 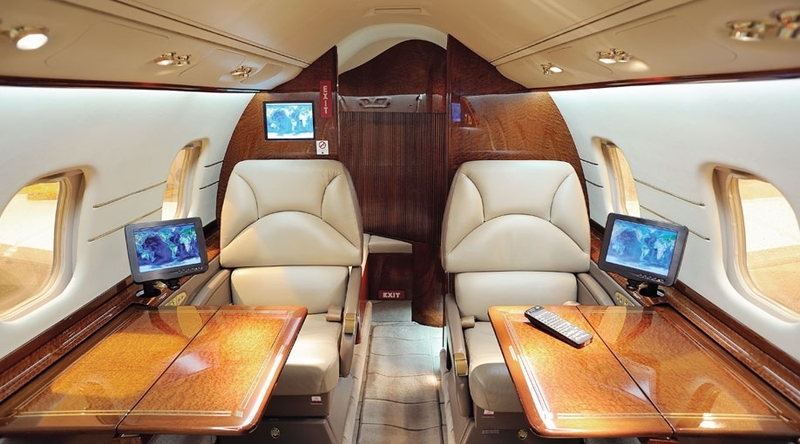 Fractional owners and charter users also can request specific cabin connectivity functions; the broker or fractional company may have aircraft that meet your needs. To learn more about your options, the NBAA website offers an excellent FAQ page. 3 Clearly communicate with your aircraft manager: Whether you employ an aircraft management company, or maintain your own flight department, know that most technical providers think in terms of hardware, software, satellites, certification challenges, and vendor relationships. We try to match this technical knowledge to what we think passengers want, but it’s up to you to communicate clearly, to ensure that what gets installed in your aircraft is what you want and need. Talking with your trusted maintenance person early in the process is critical. 4 Review proposals, make final decisions: Once your aircraft manager understands your needs, he or she will do research and then present you with options and/or specific proposals from appropriate vendors. Factors to consider are your budget, the amount of lead time needed to acquire hardware or find a slot at the service center, aircraft downtime required for installation, and what can get certified easily by the FAA (required for all installations).